CDW can help upgrade and prepare your data center for the future. Prevent a data disaster with CDW’s data backup and recovery best practices, which draw on virtualization technologies and emerging data backup software. Understand the difference between backup and replication. Replication is a “hot copy” of production data, allowing for a shorter recovery point objective (RPO) and a shorter recovery time objective (RTO). A backup is a separate “cold copy” that is protected if the source is corrupted. Automate everything. Some backup software allows for automatic backup operations that create backup policies to groups automatically. Backup software also automates recovery tests to confirm the integrity of your backup jobs. Follow the “3-2-1 Rule.” Have at least three copies of your data: your primary and two backup copies. Store those copies on at least two different media: your primary data repository and a secondary repository (a backup disk device or tape). Keep at least one backup (cold) copy offsite. Secure with Data at Rest Encryption (DaRE). Encryption should be a standard practice for sensitive data on backup devices used for primary data storage to protect data from being stolen. Backup, archive and storage software can automate your data storage processes. Explore backup and recovery servers and appliances from Barracuda, Quantum and other top partners. Why CDW Backup and Recovery Services? CDW can help decide which backup and recovery strategy is right for your business. Our IT consultants and managed services experts can assist with setup and management of your new data storage solution. CDW can help update and optimize your data center. Data center managers seeking to reduce complexity while increasing efficiency need to consider why replacing mechanical disks with a flash array creates a more modern, optimized data center. Lightning fast. Flash drives conduct input-output operations per second (20k IOPS) much more quickly than hard disk-based storage (200 IOPS), making boot times and writing data significantly faster. Unparalleled efficiency. Flash arrays are smaller than hard drives and use less power, enabling them to deliver greater value at a lower cost by using significantly less energy. Reduced costs. Lower prices have made SSD and flash arrays a more common choice for added workloads. View solid state flash drive arrays from industry leaders like Nimble Storage and NetApp. Shop hybrid flash arrays from HPE, IBM and more. Why CDW Data Storage Services? 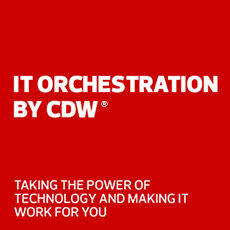 CDW’s storage and data migration services offer professional assistance custom-tailored to fit your organization’s unique data infrastructure. Our IT consultants and configuration services experts can assist with setup and management of your new data storage solution. CDW experts can help refresh and optimize your data storage environment. Data center managers face the challenge of needing a budget-friendly storage capacity with flexibility for future workloads as well as analytics, security, compliance and business continuity. A hybrid cloud solution provides an innovative approach to meet these demands. Structured and unstructured data solutions. Hybrid cloud storage is ideal for organizations with frequently accessed structured data and those requiring backups and long-term archives of both structured and unstructured data. Flexibility and scalability. Cloud storage offers quick and easy scaling, so organizations can handle sudden surges in data traffic. Strategy. By leveraging both cloud and on-premises storage solutions, data centers can take a more strategic approach to high-volume data management. Innovative storage management solutions can automatically store data in a chosen location on a designated medium. Always-on availability. Hybrid cloud storage is unaffected by outage problems such as local natural disasters and hardware failures. Our cloud solutions experts can help you assess your situation and design a plan of action to fit your needs. We can also provide the expertise required to set up and manage your new cloud solution. Our experts can help refresh and optimize your data storage environment.